Every Thursday (early to about 2pm) there’s a market in Órgiva – in the north part of town, just up from the main square. To the visitor, it’s an interesting way to spend an hour browsing among the stalls. There’s a wide variety of things including vegetables, spices, jewellery, clothes, shoes, toys, plants, sunglasses, herbal remedies and knickers, millions of them. If you’re used to ‘artisan’ markets selling cured meats, organic meat and bottled carrot, blueberry and nettle juice, forget it. This is a traditional country market. What struck us was the amazing variety, size and quality of fresh produce. We bought a huge bag of super-lovely tomatoes, peppers, garlic, onions, aubergines, herbs, peaches, green beans and lemons for about 5€ – oh, and a water melon. It kept us going until the next week’s market (in London, ONE aubergine costs £1 – around 1.10€). The whole town seems to come out – and also people from surrounding areas, including people living in Beneficio, who come to sell things like jewellery. One place we’ve yet to try in the market is a person who sells rotisserie chicken. The market, next to the children’s play area, stretches over a few closed-off roads (don’t leave your car parked in the area the night before!). If you have to drive, there’s a car park next to market and also piece of ground set aside off Calle Bancal de la Cruz near the medical centre (zoom in on map). Lunch at Baraka – a stone’s throw from the market – is a great way to relax with a mint tea and falafel wrap. Baraka is a local favourite – and anyone who knows Órgiva will probably tell you that. 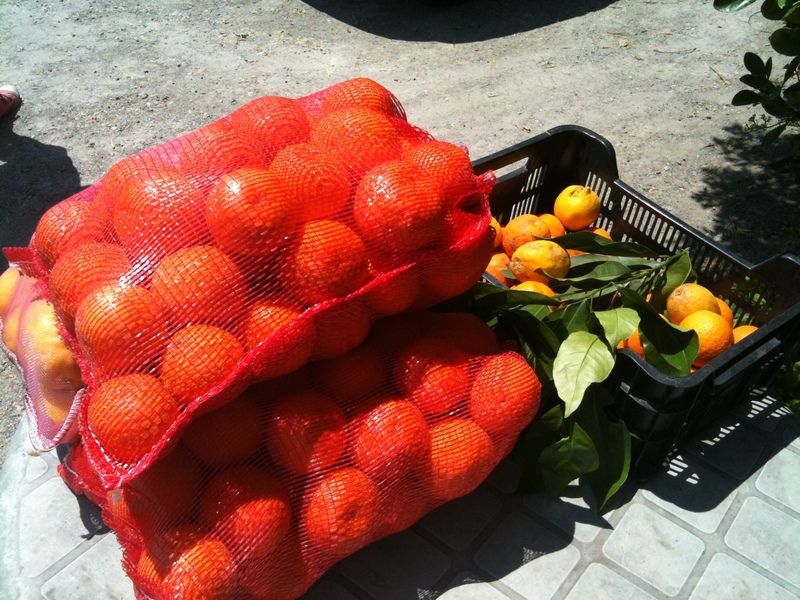 Other ‘local’ markets include: Lanjarón (Friday); Cañar (Wednesday); Pampaneira (Monday); Bubion (Tuesday) and Saturdays; Capileira (Tuesday); Trevélez (Wednesday). Hi is the marked open on Tuesday. ? think I drove through Orgiva once, a few years ago, but it wasn’t market day. I love street markets! Hope you are settling down nicely – now that the better weather’s here.